The village of White Hair (Pawhuska) was located along the Neosho River, close to present day Council Grove, Kansas; was a descendant of Old (original) White Hair who died in what is now Vernon County, Missouri. An influential Osage Chief at the beginning of the 19th century, known also Teshunhimga, Cahagatonga and Pahuska (Pawhuska) Papuisea; by the French as Cheveux Blanc. He was head-man of the Great (Grand) Osage, whose village, known also White Hair's village, was situated in 1806 on the east side of the Little Osage River, in the north part in the present Vernon county, Missouri; near which Lt. Z. M. Pike established what he called Camp Independence in 1806); his village was in 1825 and 1837 on the west bank of the Neosho River in the present Neosho County of Kansas; on land ceded to the United States by the treaty of September 29, 1865. 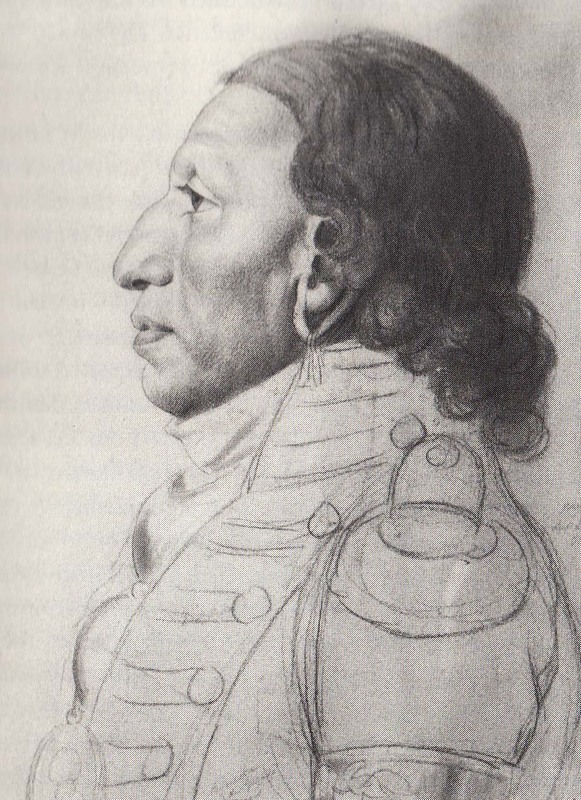 The nominal chief of the village, according to Pike was Cashesegra (Koshisigre, Big Foot or Big Track), but Clermont (Tanwangahe, Builder of Towns) was the greatest warrior and most influential man, and "more firmly attached to the American Interests than any other chief of the nation". He was lawful chief of the Great Osage, but his hereditary right was unsurped by White Hair while Clermont was an infant. Pike asserts that both White Hair and Cashesegra were chiefs of the trader Pierre Chouteau's creating, and neither had the power or disposition to restrain their young men from the perpetration of an improper act, lest they should render themselves unpopular. This was evident during Pike's stay in their country, when White Hair's people left to war agaisnt the whites on the Arkansas River, the chief being powerless to restrain them. White Hair treated Pike with hospitality, and sent his son (named No Ears or Sans Oreilles ) "a discontented young fellow, filled with self-pride" as an embassy with Pike's party, but he soon became tired and returned. Both White Hair and his son were presented by Pike with "grand medals". White Hair was the first Indian signer of the treaty with the Osage at Fort Clark, Nov. 10, 1808. His grandson signed also the treaties of Sept. 22, 1815; Sept. 25, 1818; Aug. 31, 1822; June 2, 1825; and Aug. 10, 1825. When Old White Hair died, probably before the first date mentioned in first treaty, at his village in Vernon County, Missouri; and was buried in a stone tomb, on the summit of Blue Mound. The grave was afterward vandalized by treasure seekers. Prior to 1850, the chief parts of the skeleton were taken there from by Judge Charles H. Allen ("Horse Allen"). About 1871 some Osage went from Kansas to Blue Mound and rebuilt the cairn formerly covering White Hair's remains, but the whites would neither permit neither the stones nor the few bones of the old chief to remain. The name Pawhuska survives in that of a town in Oklahoma. Please feel free to suggest any changes, additions, or corrections, include sources. the designer of this web site before using any of the contents of this web site. E-mail me!Please put Charles Curtis in the Subject line, if you want a reply.